Round neck top by MARGITTES with short sleeves. 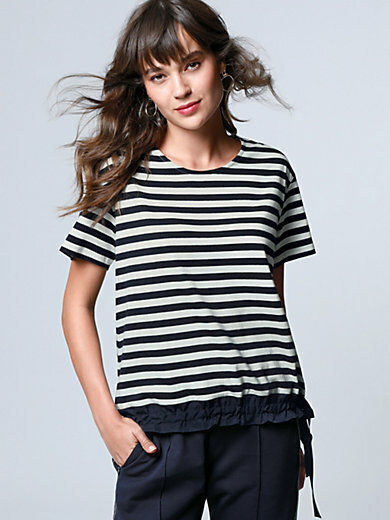 Striped top with woven hem insert in 100% polyester. The drawstring on the waistband adds a fashion upgrade. 100% cotton. Length approx. 25ins. The round neck top is machine washable.